BMW has introduced the High-performance limited edition BMW M5 Nighthawk in Japan. 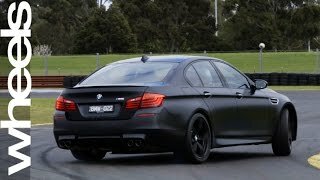 The 2013 BMW M5 Nighthawk comes in Frozen Black Matt paint along with 20-inch M light-alloy wheels forged Matt black paint finish and dark chrome grille. 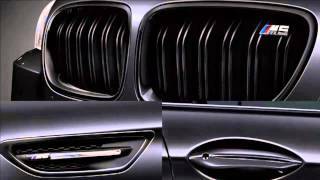 The interior is elegantly designed with full leather Merino interior (seat, door panels, center console side, the instrument panel, seat back), carbon fiber trim (door trim and instrument panel) and individually-numbed badge. The model comes with a Competition Package which includes dedicated settings for suspension, M dynamic mode and steering. Other inclusions are sports exhaust system and a black chrome tail pipe. 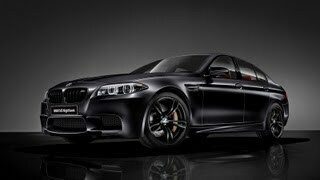 The 2013 M5 Nighthawk is powered by a 4.4-liter V-8 cylinder M TwinPower Turbo engine that develops 575 HP (423 kW) and 680 Nm (501 lb-ft) of torque. It is connected to a seven-speed M DCT transmission. It is capable to accelerate from 0-100 km/h in 4.2 seconds. Only 10 samples will be made available for order exclusively in August, with first deliveries scheduled for October this year with price starting at ¥18,200,000 ($181,800 / £121,740 / €141,470).